You want to build fast machines. And Aeromotive wants to help you do it. That’s the core of everything behind Aeromotive. That’s because, like you, Aeromotive lives and breathes performance vehicles. Power. Performance. Speed. Reliability. Durability. These qualities are built into every product and system that displays the Aeromotive name. You’ll find Aeromotive at home and out in front in challenging conditions at the track, on the street, and in the water. Aeromotive products have been engineered, manufactured, and tested to meet these conditions – your conditions. 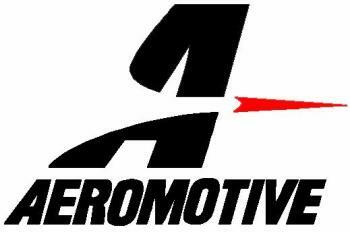 Aeromotive delivers engineering expertise earned in the aerospace industry, plus a proven track record of performance. If you’re driven by performance, your system should be fueled by Aeromotive’s precision performance products. It’s rocket science brought down to earth.